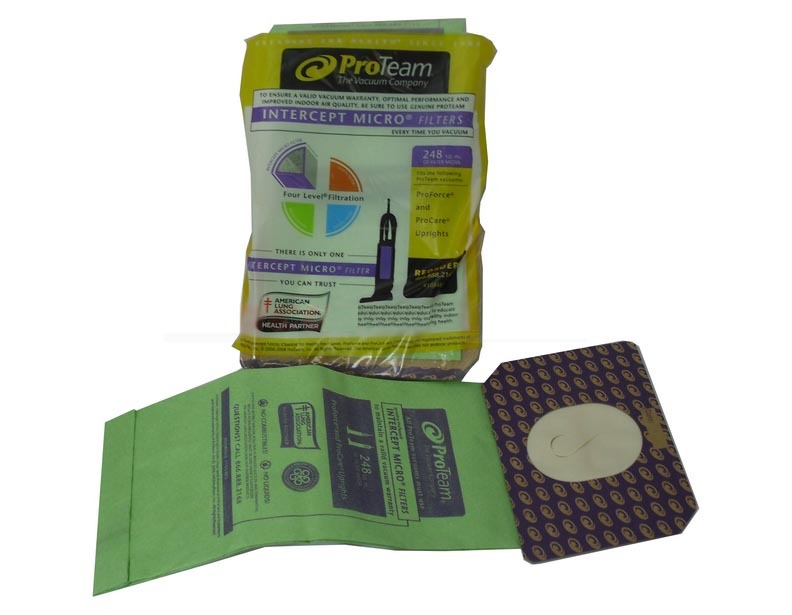 We carry a wide variety of vacuum cleaner bags for your ProTeam backpack vacuum. 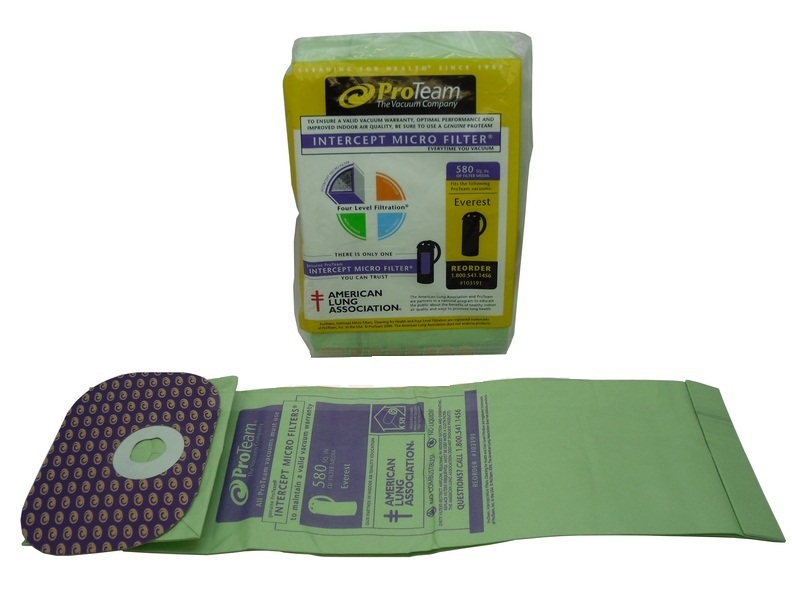 For most ProTeam backpack bags we offer both genuine and generic options in various quantities. 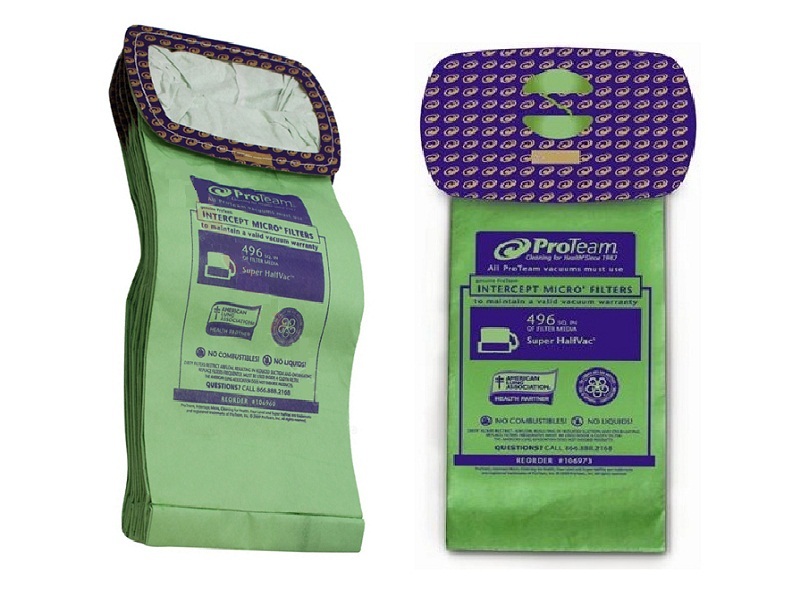 So, regardless of which ProTeam backpack you have, we're sure to have the correct bags that fit--whether you have a Sierra, an Everest, SuperCoach, HalfVac, etc.--we've got you covered here at eVacuumStore.com, and in-case you're wondering, but ProTeam doesn't just make backpack vacuums; we also carry vacuum bags for your ProTeam upright or wet/dry machine. 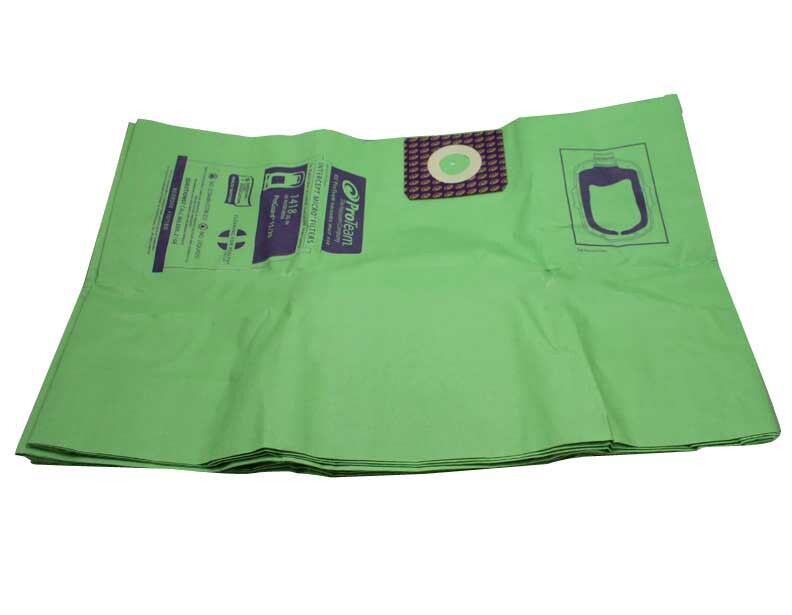 So, whatever particular unit you have, we've also got you covered. 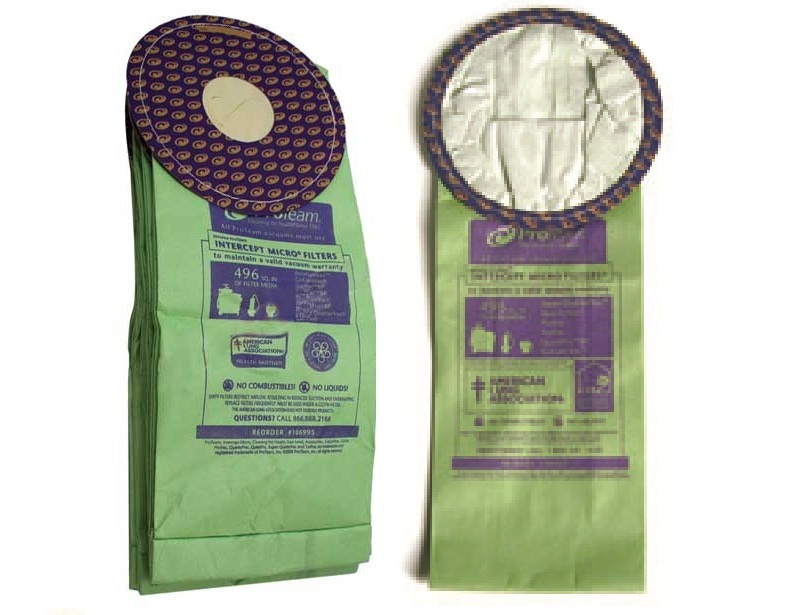 Additionally, we carry those bags in various quantities, and, of course, the larger quantity of bags you order, the better-value price you'll get! 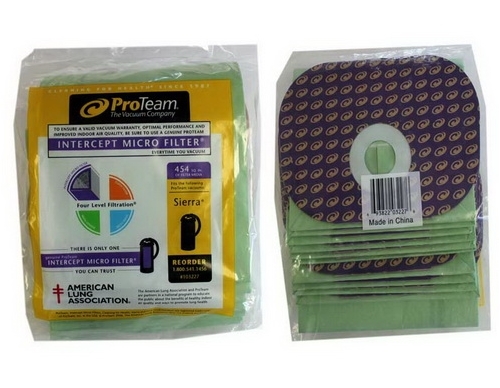 Aside from the only bags, we also carry ProTeam parts and filters, so you can think of us as your one-stop-shop for anything you need for your backpack cleaner. 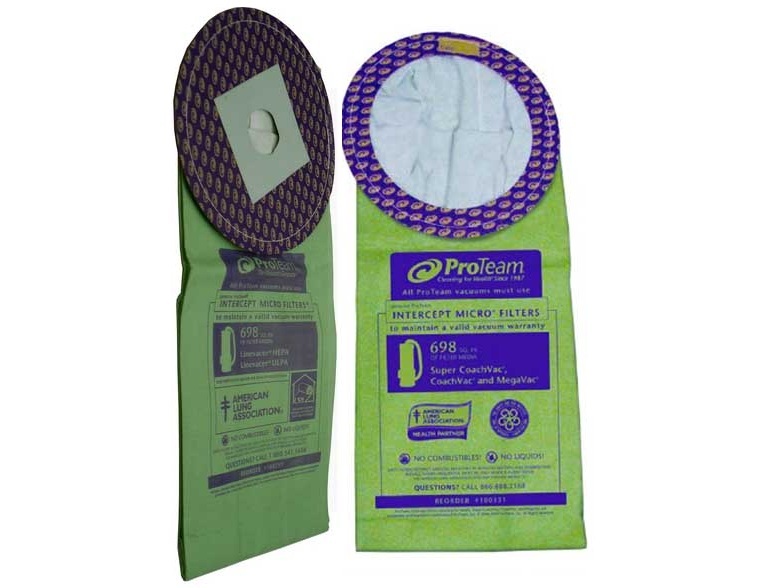 If you need further assistance, or are unsure of which bag you need for your particular ProTeam vacuum cleaner, please give us a call at 1-866-972-8227.